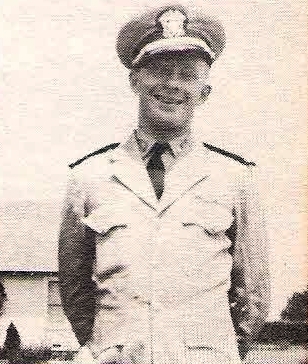 Lt. (JG) Teddy Louis Hull, son of Mrs. O. C. Miles, Winslow, Ark., attended Hardin Simmons U. Entered Naval Reserve, 1941, trained in San Diego and Corpus Christi. Served in S. Pacific. Awarded DFC and Purple Heart. Killed in Action on Guadalcanal, 1943.